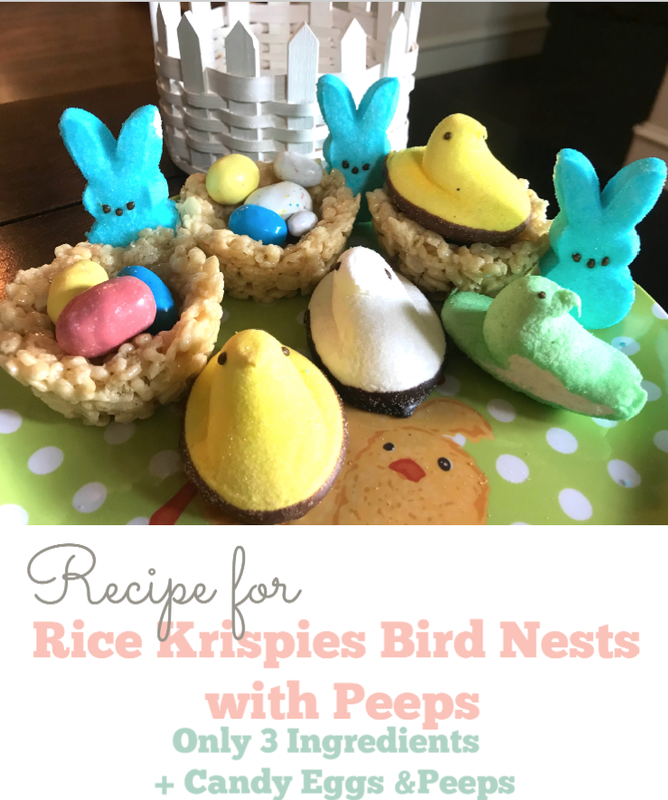 Recipe: Rice Krispy Treat Bird Nests with Peeps! Recipe: Rice Krispy Treat Birds Nest with PEEPS! 2 or more packages of your favorite Peeps candies - We love the Peeps Delights varieties that are dipped in chocolate! 1. Grease 18 muffin-pan cups with butter or cooking spray. 2. Over low heat, melt butter in a large saucepan. 3. Add mini marshmallows and stir until they are fully melted. 4. Slowly pour the Rice Krispies cereal into the mixture and stir until well coated. 5. Carefully shape the mixture into birds nest shapes in the muffin pans.